If you were wondering if you should take part in Europe nursing travel then you have come to the right place. Europe seems like an exotic destination for us – it has culture, art, history, great food, and more sights and sounds than you can imagine. That is not all, though, as it is also a great place to develop your nursing career. There is a huge demand for nurses in developed nations, as well as nations that are still working their way up. Not only do they offer lucrative salaries and benefits, you will also be developing an international career. What Does Europe Nursing Travel Entail? The health care profession is one of the easiest careers to “take on the road”, so to speak. There are a lot of opportunities at home for nurses. Hospitals and clinics are always looking for more trained professionals. So, why should you travel abroad? Traveling allows you to experience different cultures, connect with people unlike yourself, and more. It allows you to broaden your mind and become a citizen of the world. And in a “people profession” like nursing, experience with a diverse range of people and working within a variety of medical systems has got to be a plus. By signing up for European nursing travel, you will be journeying to various countries such as Italy, France, Spain and England, among many others. You may even consider Eastern European nations who are now part of the European Union. You can find employment in these countries by going through recruiting agencies. Another option is to contact hospitals or clinics you are interested in and check if they need or want your expertise. One of the best things about Europe nursing travel is that you do not need to bring your uniform with you. Many hospitals provide their staff with nursing uniforms. There is one thing you need to take into account, though – if there are specialized or favorite items you own, take them with you as you may not find them in your host countries. The United Kingdom is a promising location for travel nurses from the United States, Australia, Canada and other English speaking countries, because it offers an opportunity to visit other countries in Europe while remaining under the familiar blanket of the English language. For example, Continental Travelnurse places nurses throughout England, Scotland and Wales. Nurses traveling from the United States must complete an English proficiency exam and complete applications from the Nursing Midwifery Council and Supervised Practice. The company also provides housing with a minimal contribution from the nurse. In order to start a career as a traveling nurse, you will need to obtain a relevant education. 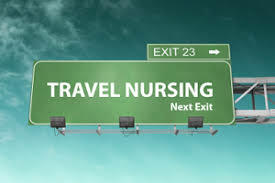 Most traveling nurse positions require a bachelor’s degree in nursing along with a current license. If you have an interest in a specialty, you can take additional courses or training opportunities. Some travel nurses choose to work in resorts or on cruise ships. You could also fill in for staff in hospitals, nursing homes, or medical clinics when their staff is on medical or personal leave. Workload and Requirements Most traveling nursing positions have a similar workload to local positions. Nurses assist physicians and other healthcare providers by administering injections, taking vital signs, performing tests, and completing any other related tasks that will encourage a place of healing for patients. Some nurses work in high-stress situations, such as emergency departments or operating rooms, so if you choose this area, you need to be able to remain calm. You may also need to learn the native tongue in order to communicate with patients and other staff. Certifications and Education Countries have different certification requirements for nurses, so it will depend on where you are seeking employment. Most countries do require that nurses have a bachelor’s degree, although some positions are available to those with an associate’s degree in nursing and a current license. 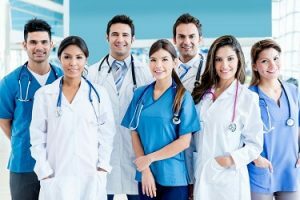 Many of the top traveling nursing companies also require that you have at least one to two years of work experience before traveling abroad to work in another healthcare system. The nursing company can provide information for you about what certifications, visas, and other travel documents are required before you leave the country. Most traveling nursing companies require a 6-8 month process for obtaining visas and licensure and verifying education and experience. You may also want to do some research on the countries that are hiring nurses before you go, since the local culture and food options may play a factor in your desire to visit these countries. Whether you are looking to visit for a few months or a couple of years, you can find something that will suit you to a tee. All specialties are needed. If you are an OR, ER, med/surg, cardiac, neonatal nurse or any other specialty, you will find a job that is right for you and in your field. The benefits are wonderful. High pay, free housing, licensing fees paid, health insurance and travel expenses are generally covered, depending on the country traveled to. Most hospitals and travel nurse recruiters want you to have at least one year of nursing in your specialty. They want you to be comfortable, not only with being a nurse but with the equipment, terminology and cares as well. The best thing to do right now is to compile a list of objectives you want to accomplish in a European nursing position. You may want to pick up new languages and learn about the history and culture of the country you want to go to. Also, clear and concise communication is critical for your success. Always act professionally and reply as quickly as possible to any queries or messages. Europe nursing travel is one of the most exciting jobs out there. You get to travel to new, exotic destinations, meet new people, learn about various cultures, and gain professional experience along the way. To get the best results you will need to narrow your focus, gain new language skills, and conduct yourself in a professional manner, among other things.